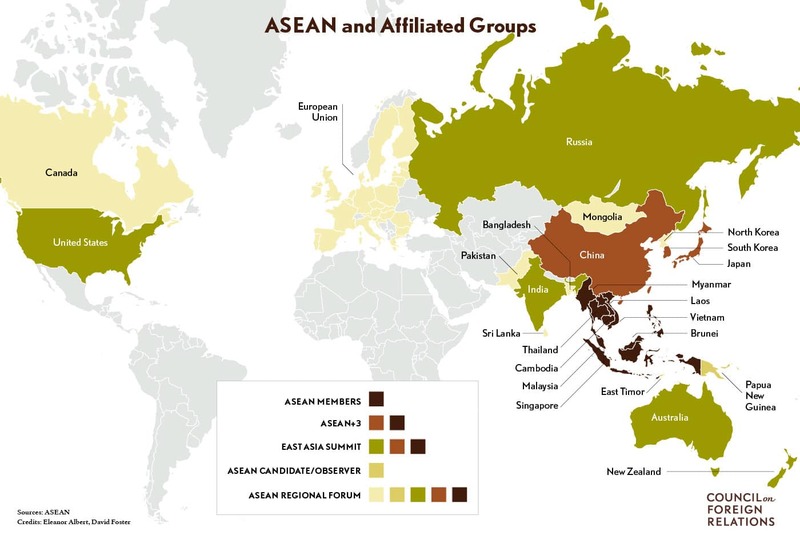 The Association of Southeast Asian Nations (ASEAN) is a regional grouping that promotes economic, political, and security cooperation among its ten members: Brunei, Cambodia, Indonesia, Laos, Malaysia, Myanmar, the Philippines, Singapore, Thailand, and Vietnam. 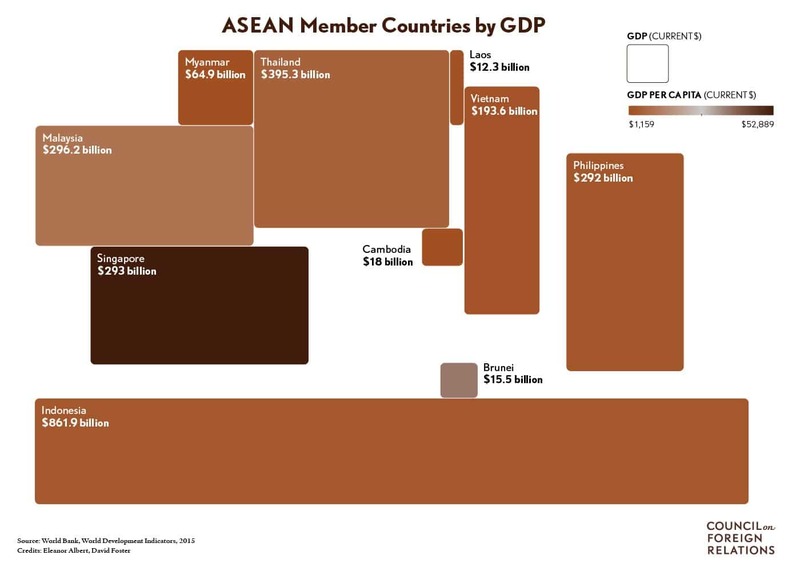 ASEAN countries have a population of nearly 640 million people [PDF] and a combined GDP of $2.57 trillion. The group has spurred economic integration, signing six free-trade agreements with other regional economies. Yet experts say ASEAN’s impact is limited by a lack of strategic vision, diverging national priorities, and weak leadership. The bloc’s biggest challenge is negotiating a unified approach to China, particularly in response to its widespread maritime claims in the South China Sea. Other experts say ASEAN has contributed to regional stability by building much-needed norms and fostering a neutral environmentto address shared challenges. “In Asia, talking and relationship building is half the challenge to solving problems,” says Murray Hiebert, senior advisor and deputy director of the Southeast Asia Program at the Washington-based Center for Strategic and International Studies. Formed in 1967, ASEAN united Indonesia, Malaysia, the Philippines, Singapore, and Thailand to try to reduce regional hostilities and to fight the potential threat of communist-led insurgencies at the height of the U.S. war in Vietnam. The five founding members sought a community to promote political and social stability amid rising tensions among the Asia-Pacific’s post-colonial states. In 1976, the members signed the Treaty of Amity and Cooperation, emphasizing ASEAN’s promotion of peace, friendship, and cooperation to build solidarity. Membership doubled by the early 1990s, boosted in part by changing conditions following the end of the Vietnam War in 1975 and the Cold War in 1991. With the addition of Brunei (1984), Vietnam (1995), Laos and Myanmar (1997), and Cambodia (1999), the group started to launch initiatives to boost regionalism. The members signed a deal in 1995 to create a nuclear-free zonein Southeast Asia, committing to refrain from the use of nuclear weapons, including on land and in maritime territories. Faced with the 1997 Asian financial crisis, ASEAN members moved to integrate their economies to mitigate future economic turmoil. The Chiang Mai Initiative [PDF], for example, was an agreement among ASEAN and China, Japan, and South Korea to provide financial support through currency swaps. ASEAN states also signed a declaration on joint action to counter terrorism in the aftermath of the 9/11 attacks in the United States to bolster national and regional mechanisms and increase information sharing. In 2007, the ten members adopted the ASEAN Charter [PDF], a constitutional document, providing the grouping with legal status and revamping its institutions. The charter enshrines core ASEAN principles and delineates requirements for membership. (East Timor first submitted its application for ASEAN membership in 2011 but not all members back its addition to the block.) The charter also originally included provisions for sanctions and a system to monitor compliance of ASEAN agreements, but those were dropped amid internal objections. In Asia, talking and relationship building is half the challenge to solving problems. The charter set out a blueprint for a community built on three branches: the ASEAN Economic Community (AEC), the ASEAN Political-Security Community, and the ASEAN Socio-Cultural Community. Developments on the economic front have born the most fruit; in 2017 and 2018, the bloc’s economy is expected to grow by 5.7 percent, according to the Asian Development Bank. The AEC’s four pillars [PDF] are: the creation of a single market with the free flow of goods, services, investment, and skilled labor; fair economic competition; sustainable and equitable economic development; and further integrating ASEAN into the global economy. Yet some of the region’s most important industries are not covered by preferential trade measures, and the income inequality gap among ASEAN members could make economic integration more costly. Still, some experts see the AEC as a potential catalyst for intensifying economic integration. “The ASEAN economic community is a major project. Its realization will radically change the region’s economic and political landscape. The challenges are equally great,” said Hadi Soesastro, executive director of the Centre for Strategic and International Studies, Jakarta, in 2007 when plans for the economic community were adopted. Since the start of the ASEAN free trade area in 1993, intra-ASEAN trade has grown from 19.2 percent [PDF] to 25.9 percent [PDF] in 2016. Across the grouping, more than 90 percent of goods are traded with no tariffs [PDF]. The grouping has also prioritized eleven sectors in goods and services for integration, including electronics, automotives, rubber-based products, textiles and apparels, agro-based products, and tourism. ASEAN members have made strong efforts to facilitate trade, says Hiebert, but challenges remain. 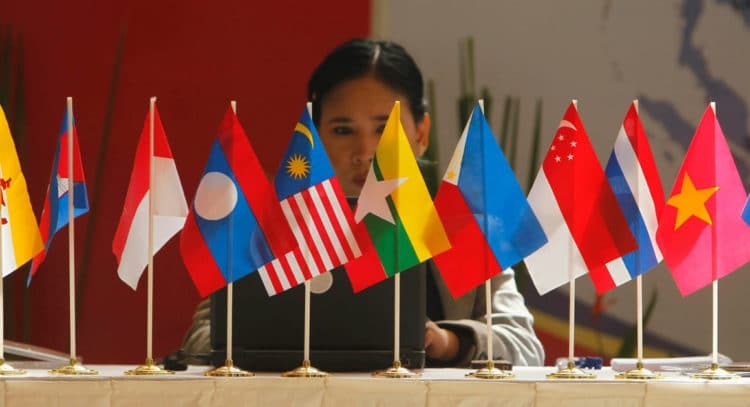 ASEAN Regional Forum (ARF): Launched in 1993, the twenty-seven-member multilateral grouping was developed to facilitate cooperation on political and security issues to contribute to regional confidence-building and preventive diplomacy. The forum represents a wide array of voices—including ASEAN, its dialogue partners, North Korea, and Pakistan, among others—yet it is often mired in geopolitical disputes that limit its effectiveness. ASEAN Plus Three: The consultative group initiated in 1997 brings together ASEAN’s ten members, China, Japan, and South Korea. The grouping was characterized as “the most coherent and substantive pan-Asian grouping” by Evan A. Feigenbaum and Robert A. Manning in a CFR report. East Asia Summit (EAS): First held in 2005, the summit seeks to promote security and prosperity in the region and is usually attended by the heads of state from ASEAN, Australia, China, India, Japan, New Zealand, Russia, South Korea, and the United States. ASEAN plays a central role as the agenda-setter. “The summit remains the only opportunity for the president of the United States to sit down and collectively engage his Asia-Pacific counterparts on the main political and security issues of the day,” write Vikram Singh of the Center for American Progress and Lindsey Ford of the Asia Society Policy Institute. Despite the prevalence of diplomatic forums, disagreements on security issues haunt ASEAN unity. Its most glaring challenge is finding a joint response to the rise of China. “China’s re-emergence as the major power in the East Asia region is not only likely to transform Southeast Asia’s relations with China, but also perhaps the internal relations of ASEAN itself” [PDF], writes Beeson, of the University of Western Australia. The emphasis on consensus, not losing face, and voluntarism has meant that difficult problems have been avoided. Maritime disputes in the South China Sea have been the biggest irritant among ASEAN members. Brunei, Malaysia, the Philippines, and Vietnam share overlapping claims to features in contested waters with China. For them, China’s moves to reclaim land and to build artificial islands are threatening and seen as violations of national sovereignty. For other members, like Cambodia, the tension in the South China Sea is geographically distant and not as relevant. In the absence of consensus, efforts to make the Declaration of Conduct of Parties in the South China Sea between ASEAN and Beijing into a binding code of conduct have been futile. In response, a number of claimants have appealed for greater U.S. support. The United States has responded by stepping up military cooperation with ASEAN members like the Philippines and Vietnam, and heightening its maritime presence to enforce freedom of navigation in international waters. At the same time, Southeast Asian nations have also invested in modernizing their militaries. ASEAN members have been divided by their ties with China and the United States. The region overall is in need of investment, trade, and particularly infrastructure development and China has moved to fill these needs. But ASEAN members are anxious of becoming over reliant and dependent on China; in turn, these nations “look to the United States to hedge,” says CSIS’ Hiebert. The United States is ASEAN’s fourth-largest trading partner, after China ($346 billion), Japan ($239 billion), and the European Union ($228 billion), with trade between the two sides reaching more than $212 billion [PDF] in 2015. This accounts for 9.4 percent of ASEAN’s total trade. The United States also has launched subregional and bilateral initiatives to boost ties with Southeast Asia, including the Lower Mekong Initiative to deepen cooperation between the United States and ASEAN members Cambodia, Laos, Myanmar, Thailand, and Vietnam on issues related to the environment, health, education, and infrastructure development. Four ASEAN members (Brunei, Malaysia, Singapore, and Vietnam) also joined the initially U.S.-led Trans-Pacific Partnership (TPP), a free trade agreement among twelve nations. However, Washington’s withdrawal from the TPP shortly after Donald J. Trump’s inauguration in January 2017 could set back broader U.S. efforts to demonstrate commitment to the region. The Barack Obama administration, as part of its rebalance, also increased U.S. participation in ASEAN activities, including sending top-level officials to regional summits, naming a resident ambassador to ASEAN, joining the Treaty of Amity and Cooperation, and establishing a U.S.-ASEAN annual summit. U.S. and ASEAN leaders elevated their relationship to a strategic partnership in November 2015, followed by the first standalone summit between heads of state and government from the United States and ASEAN members in February 2016 in Sunnylands, California. The Trump administration has continued to send a steady stream of high-ranking officials to Southeast Asia, including Vice President Mike Pence, Secretary of State Rex Tillerson, and Secretary of Defense Jim Mattis. Though Trump will make stops in Vietnam and the Philippines on his upcoming Asia visit, he will not attend the East Asia Summit. ASEAN brings together neighbors with varying economic, political, and social systems. Singapore boasts the highest GDP per capita—nearly $53,000 based on 2016 World Bank figures—while Cambodia’s per capita GDP is the lowest at less than $1,300. The members’ political systems are equally mixed with democracies, communist, and authoritarian states. Demographics vary across the region, too; some countries are sparsely populated, others are densely populated with range of dominant religious groups. Geographically, ASEAN is a grouping of archipelago nations, as well as continental land masses with low plains and mountainous terrain. Such diversity means that full agreement on any single issue can seem insurmountable. While the South China Sea is the main issue exposing the organization’s rifts, progress has also faltered on other important fronts, like human rights. For example, ASEAN has been divided over addressing repression in member states like Cambodia, and mass migration triggered by harsh crackdowns in Myanmar against the Rohingya minority and widespread charges of ethnic cleansing. Some experts have suggested that ASEAN reimagine its framework and decision-making practices. In 2012, CFR’s Joshua Kurlantzick recommended substantive changes to enable the organization to lead integration efforts in Asia. These included strengthening its secretariat and empowering a high-profile secretary-general to speak on its behalf; abandoning consensus decision-making, and demonstrating that ASEAN can build its own free trade area. Others, like CSIS’s Hiebert, see the organization taking on a coalition-of-the-willing format in which some of the group’s members decide to act on certain issues, like joint maritime patrol initiatives currently underway, while others will join later once they are ready. The Council on Foreign Relations (CFR), founded in 1921, is a United States nonprofit think tank specializing in U.S. foreign policy and international affairs. 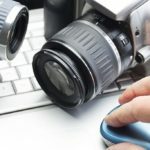 It is headquartered in New York City, with an additional office in Washington, D.C. Its membership, which numbers 4,900, has included senior politicians, more than a dozen secretaries of state, CIA directors, bankers, lawyers, professors, and senior media figures.